Your mortgage is the most important loan that you have. If you fall behind on your payments, you can lose more than your house. You can lose your home, the center of your family. You should never wait to act until you are in danger of foreclosure. If you are having problems meeting your mortgage payments or fear you will in the near future, ask a legal expert about a loan modification. You may be eligible to change the terms of your mortgage in order to lower your monthly mortgage payments and/or your interest rates. In addition, you might be able to repay your past due amount over a number of months. Solutions exist for your mortgage issues. You may qualify for several types of loan modifications depending on your specific financial situation. A lender sometimes agrees to a forbearance: a suspension or reduction of your monthly payment. At the end of the forbearance period, you either pay off the amount owed in a lump sum or in installments. Sometimes, a lender will attach the money owed to the end of the loan, which give you the breathing room that you need. You may be able to get your interest rate lowered, temporarily or for the duration of the loan. The amount you save monthly may be added to the principal amount due on the loan. A loan extension is another option for some borrowers. A 20-year loan might be changed to a 25 or 30-year loan, which will lower your monthly payments but make the loan more expensive over its lifetime. Still, you will receive financial relief in the short term. Other loan modifications include principal deferral, an individual repayment plan and government programs, including HARP. The hardship letter is particularly important. In it, you can explain the circumstances that led to your financial problems. Maybe you’ve lost a job, been ill, or had a business loss. Lenders are often sympathetic to these circumstances because they may have experienced them as well. Do be polite, detailed, and honest in your letter. If you aren’t great at composition, ask for help from someone who is. Make your letter professional looking and easy to read. Remember, your mortgage holder does not want to foreclose because it costs them money to do so. If possible, they want to help you make your payments. When you reach out to them personally, they are more likely to respond positively. A loan modification is not for everyone. You may be in a house that you simply cannot afford. In that instance, you should consider selling your home. Your lender might agree to suspend your payments while you are in the sale is in process. The bank might also agree to a “short sale,” which means the bank will accept the proceeds of a sale even if the amount doesn’t cover the remaining mortgage. If you go this route, you need to make certain the bank won’t later come after you for the remaining debt amount. A skilled attorney can keep you from falling for loan modification scams. Unfortunately, some companies take advantage of your financial distress to turn a bigger profit. Beware of firms that demand excessive fees before they take action on your behalf. Do not deal with anyone who guarantees you a loan modification, asks for the title to your property, directs you to make payments to a new third party, or advises you to stop making your mortgage payments. Instead of saving your home, you can easily end up losing it. Consulting with skilled attorneys is the best way to avoid these pitfalls. For those in the Southern California area, The Mellor Law Firm offers expert advice on loan modifications. We can help you both before and after you fail to make your mortgage payments. Our attorneys specialize in real estate law, so they will carefully analyze your specific situation. We will then offer you advice on your best modification options. Your attorney will help you through the loan modification process, including the hardship letter, so that you have a better chance of receiving a positive response from your lender. 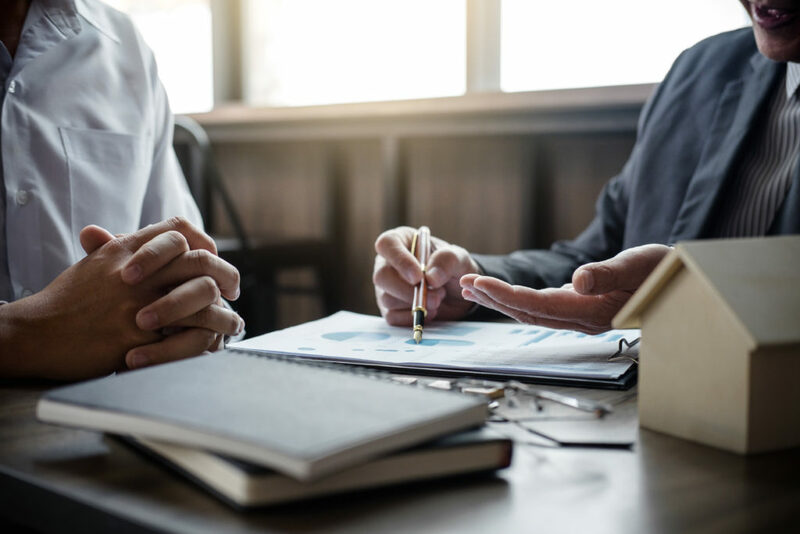 If you are not a good candidate for a loan modification, your attorney will advise you on other options that may save your home or put you in a better financial position. For more information on the firm and its services, call The Mellor Law Firm at 951-221-4330 or contact us today. Our attorneys have decades of experience in real estate law and modification loans. They understand the importance of your home and will offer you an honest assessment of your position. Don’t wait until you are in danger of foreclosure, consult with The Mellor Law Firm today.